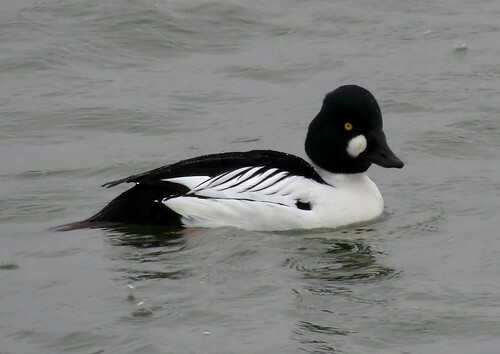 The regular visits to Tophill Low NR, East Yorkshire continued throughout the month of February. 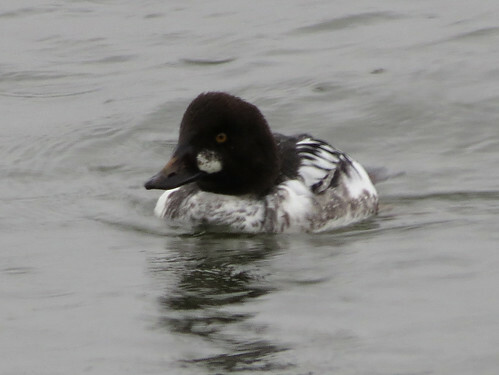 Wildfowl on the reservoirs and marshes are the continued theme, among them being numerous Goldeneye Bucephala clangula, Many winter, and good numbers will be passing through in the coming weeks as they make their way back north for the summer. The wintering female Scaup Aythya marila has been present on and off, and the drake Red-crested Pochard Netta ruffina remains. Odd Pintail Anas acuta and occasional Goosander Mergus merganser – both noticeable by their scarcity on site this winter – also put in sporadic appearances during the month. 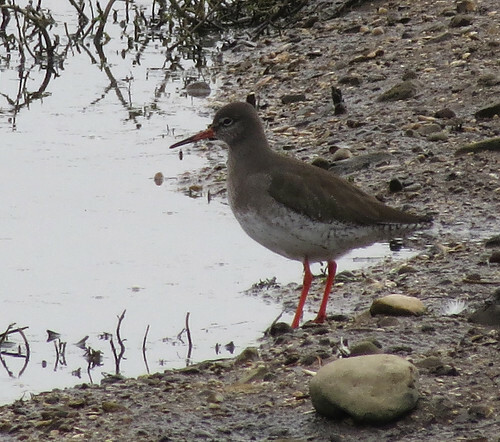 The lowering of the southern marshes has seen small numbers of Redshank Tringa totanus appear, while the first returning Oystercatcher Haematopus ostralegus were back by the middle of the month – a sign that spring is on its way. Laridwise, it has been a tedious February!!! The highlights up to now being an adult Yellow-legged Gull Larus michahellis on the 13th and a Mediterranean Gull Ichthyaetus melanocephalus on the 14th, while small numbers of Lesser Black-backed Gull L. fuscus graellsii have appeared with regularity. An adult female Hen Harrier Circus cyaneus put in a brief appearance on the 21st, an immature male Peregrine Falco peregrinus has been present on and off throughout, while one or two Stonechat Saxicola rubicola have been around the lagoons during the period. As ever, for the latest from Tophill, check out the site blog. Also worth a look is Paul Ashton’s blog – which features ducks in the sun! 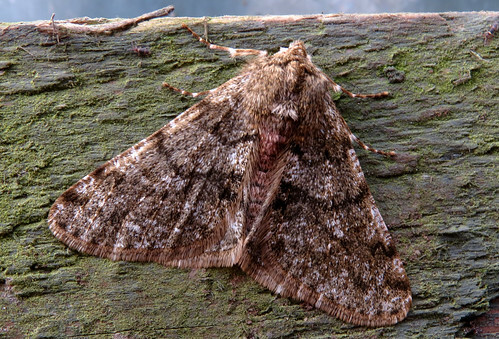 Despite cold overnight temperatures, moth trapping continues, though with few rewards – only a handful of Pale Brindled Beauty Phigalia pilosaria have been attracted to light so far. The photos below illustrating the variation between individuals caught. 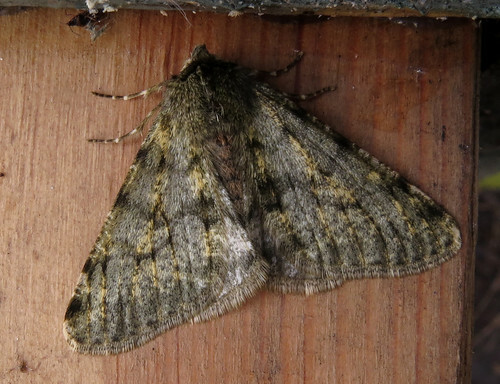 However, there is still plenty to find as almost 1000 moths have been recorded so far in 2015. The Acrolepia autumnitella below featured in the last post at the start of February, a Tophill and Yorkshire scarcity with only five adult records in VC61 and 16 individual adults as a whole across the county (per Yorkshire Moths). Searches throughout the month have yielded – 43 on the 7th, 42 on the 14th, and 26 on the 21st. 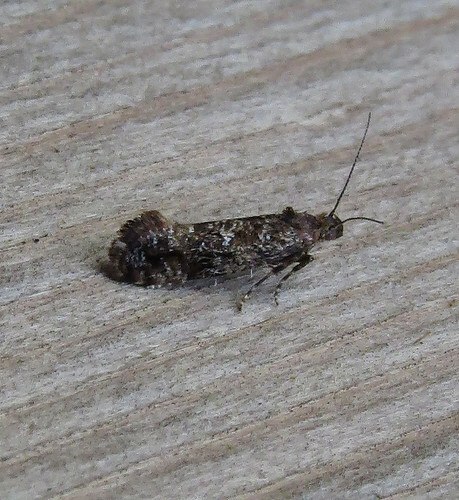 Another species setting new Tophill records has been Twenty-plume Moth Alucita hexadactyla. 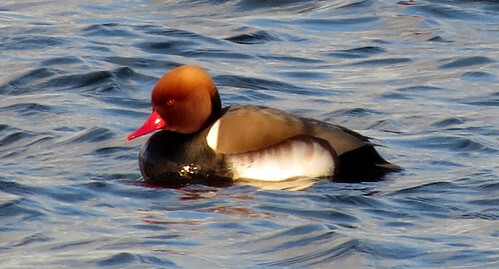 A common urban species, a total of four individuals were noted on the 14th – which is more than had been recorded in site history since records began in 1992.